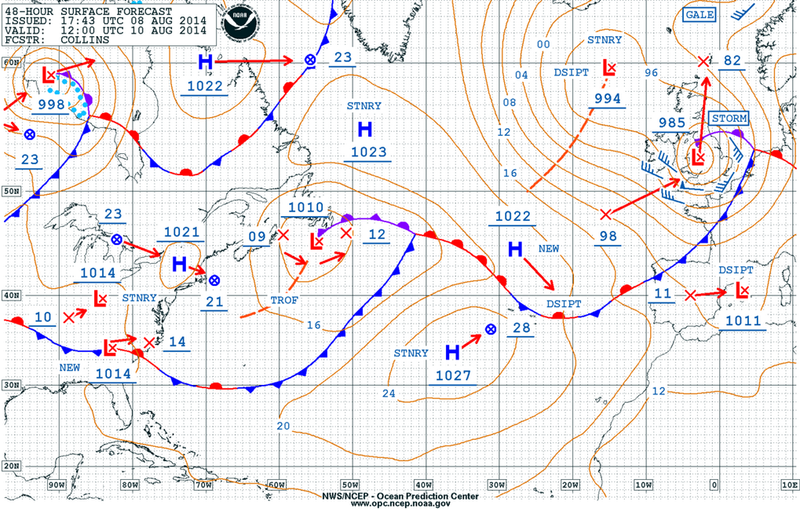 Update: this feature is under discussion on met-forums as to whether it was technically a polar low or not! Some features (e.g. satpic) suggest it was but other features, such as upper temperatures, suggest it may have been a small scale feature with some similar characteristics (referred to below). References below contain more details. This post still valid as it describes an interesting weather feature with several polar low characteristics, albeit jury is out on final definition here! Polar lows are small but intense maritime meso-scale cyclones, a few hundred km across, that form quickly in cold polar or arctic air advected (moved) over relatively warmer water. They are much smaller than our usual mid-latitude frontal depressions. They usually occur in winter in Arctic or Polar airmasses streaming Equatorwards and they form characteristically beautiful swirls of cumulus cloud and a comma cloud formation visible in satellite pictures (see above VIIRS sat pic 29/01/2015). Sometimes these swirls form an eye reminiscent of tropical cyclones, to which they have surprising things in common. Heaviest snow / rain occurs near the “eye”. This similarity is why they are sometimes called “Arctic Hurricanes”, though they do not always produce hurricane force winds. Despite their scary name they are relatively common over ice-free mid-latitude waters, they can produce rain or snow (due to “warm core” see below) and one was recorded moving down the North Sea in Dec 1995, so they are uncommon but not unheard of around the UK. Polar lows tend to go through a rapid life cycle of a day or two which previously caught Arctic explorers unawares with hurricane force winds blowing up from nowhere and creating high seas in hostile Arctic waters. 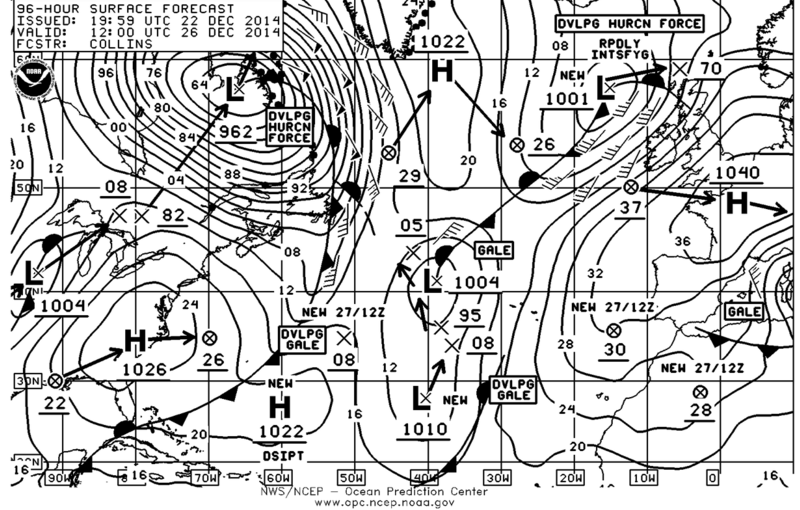 Gale force winds wrap tightly into these features. Polar Lows were invisible to meteorologists previous to satellite pictures and only with very recent upgrades in Numerical Weather Prediction models have Polar Lows been “visible” at all on charts. They are still hard to predict and models sometimes struggle to track their intensity and path. Polar Low circulations do not last long and, like their tropical cyclone cousin, they tend to decay rapidly once they move from warm sea over cooler land, because the convective energy and steep lapse rates driving the system are lost. Cold upper air temperatures and a warm sea assist steep lapse rates that can cause thunderstorms with active convection. Lightning strikes were recorded in this 29/01/2015 low as it came ashore over Northern Ireland, typical of polar lows. 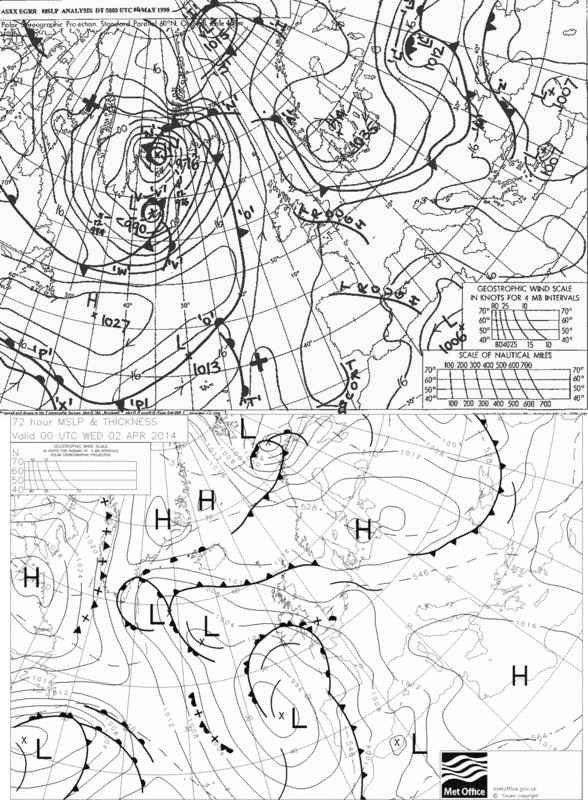 Charts modelling the evolution of this low, albeit rapidly in the last few hours, have predicted tracks moving the system SE across the UK overnight. Areas especially at risk from snow include Northern Ireland, N Wales and Midlands and possibly parts of the Southern England into early Friday. However, the system is likely to fill rapidly overland as the sensible heat flux available for convection is lost over the colder land. Additionally, the land is rougher than the ocean and this increased roughness increases surface convergence (air arriving faster than it lifts) and this causes the central pressure to rise and the system to decay. Like hurricanes, Polar Lows form over oceans and gain much of their energy from them. Polar Lows usually form in places where there is a rapid change in temperature and/or pressure horizontally, this is known as a baroclinic zone. Edges of ice sheets or simply where warm and cold air meet are prime locations. 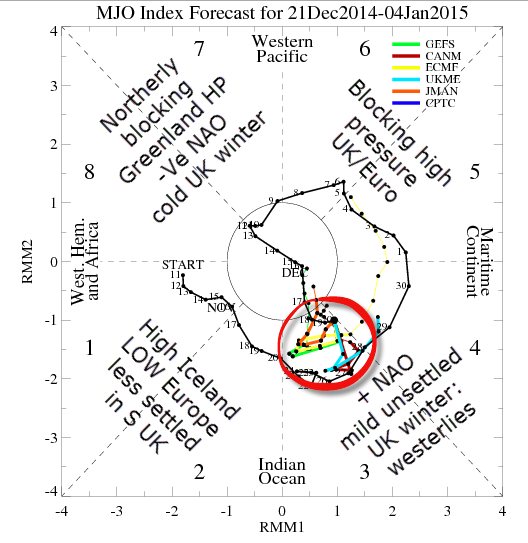 Warmer ocean water is another essential trigger for polar lows. The warm surface water provides essential mositure and lift that creates convection, condensation in frigid air and the release of latent heat that develops cumulus and cumulonimbus clouds. 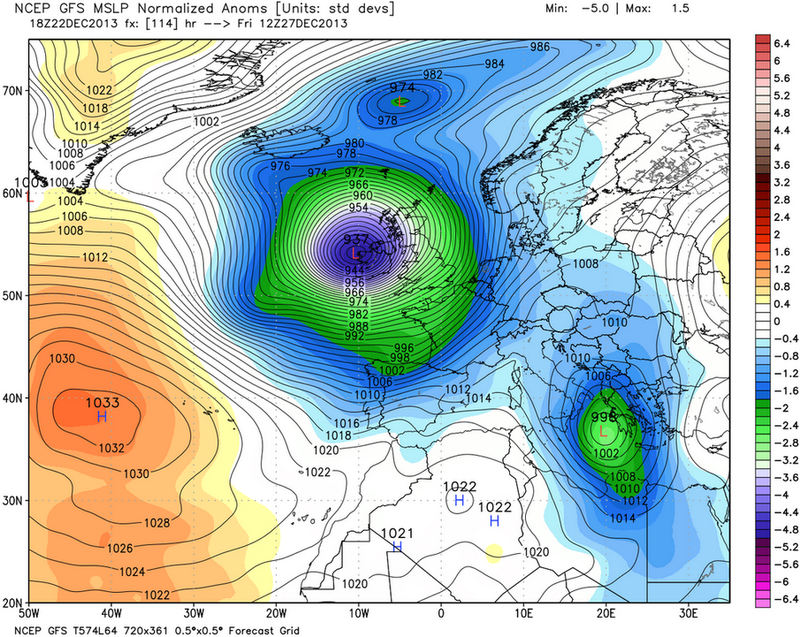 The clouds then wrap into a tight circulation around a rapidly deepening low core not dissimilar to a hurricane. 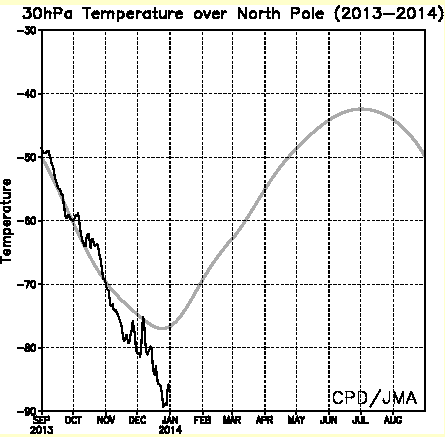 Polar lows are much smaller and more transient than a regular mid-latitude depression. Polar lows tend to form on the eastern side of a high pressure ridge and to the east of a decaying occluding mother low. Both these features can be seen on charts. An important feature of a polar low is the formation a warm core. 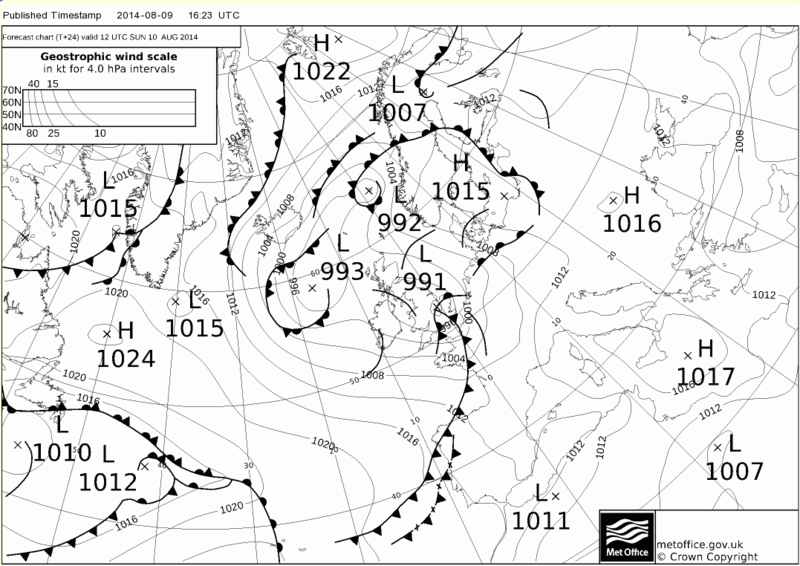 Charts below show this as milder surface temps at 950hPa and the theta e chart which appears to show warm air too. 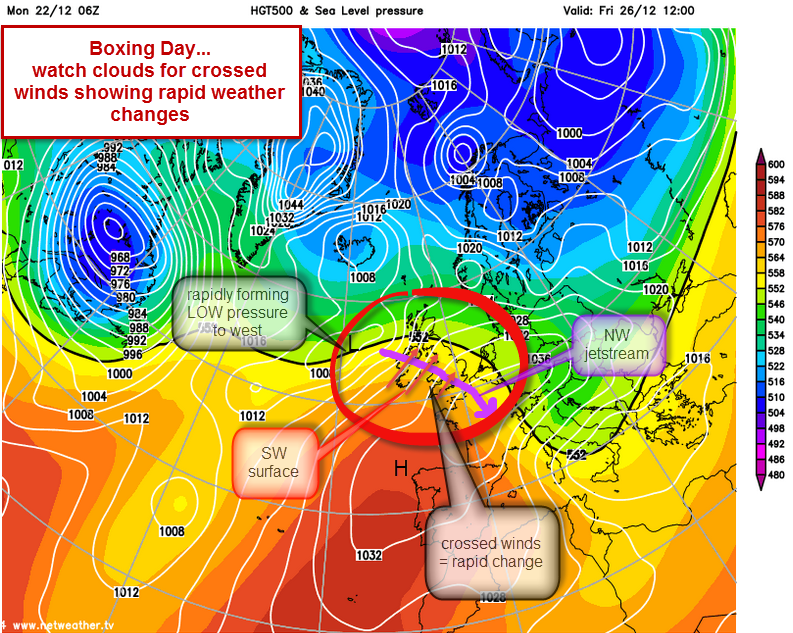 Internal evolution of this system seem to suggest it has a warm core perhaps comprising Arctic flow chasing down a long-track of milder airmass originally sequestered by the extremely active cold front that swept through this location yesterday secluding a warm pool in the core of the mother low sat over Scandinavia. This warm pool appears to have advected east to meet incoming Arctic air. An area of positive vorticity (spin) contributed to the evolution by adding spin to the air that caused the low to form. 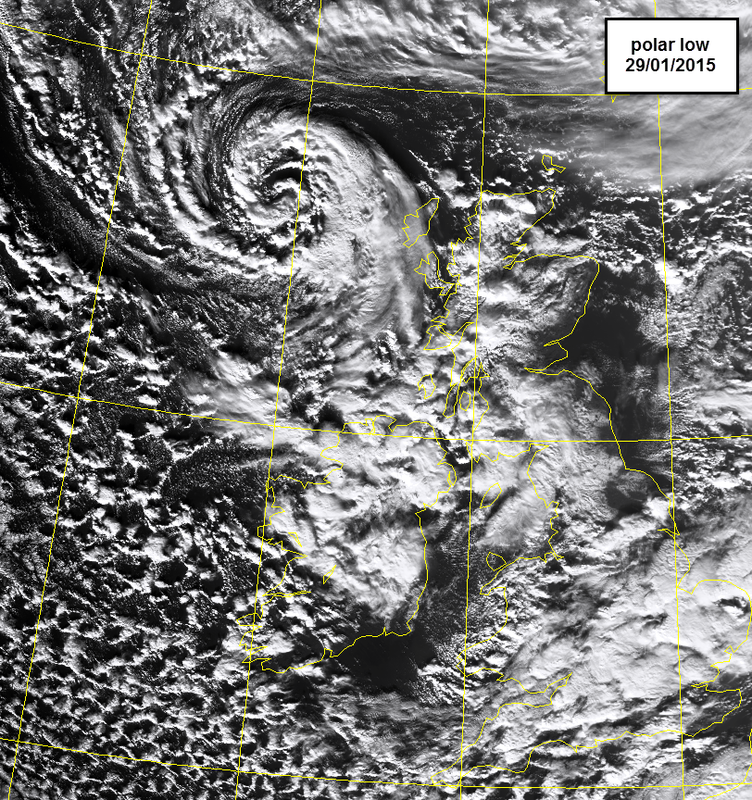 The polar low that developed today NW of Scotland has many of the hallmark characteristics of a Polar Low and seems to be generally accepted as such mainly because of the defining characteristic swirl of cumulus clouds round the low pressure core. Note: met community not all agreed whether this was a Polar Low or not : has many characteristics but some consider it too warm with rain in some areas rendering it a meso-scale slide low or similar. Quick update here focusing on SE especially: please note this applies mainly to Reigate in Surrey and is an amateur analysis for educational purposes. 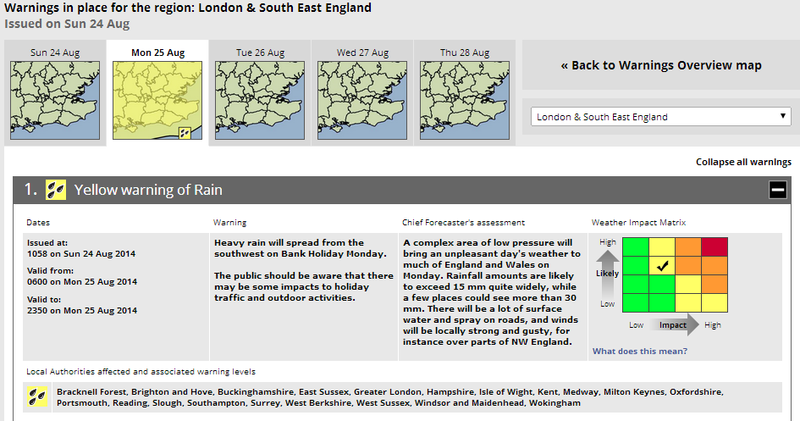 For updates through the storm please see @RGSweather on twitter for the Bertha story as it unfolds for us in Reigate and SE. This is called NOWCASTING (as opposed to “forecasting”). 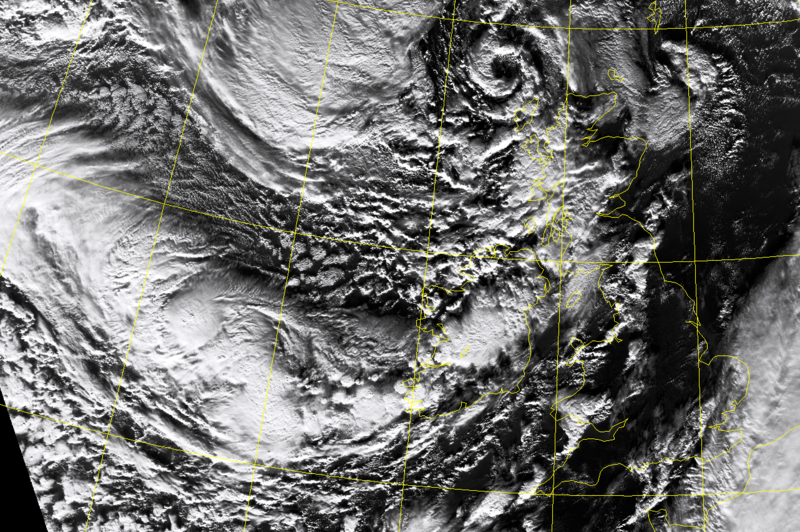 Ex-Bertha is turning out to be rather interesting meteorologically! A convective potential has emerged today, which means there is more possibility of thunderstorms of some significance as the LOW passes across the UK, especially to the south of the system. Convective gusts of 50-60mph could be possible and the odd tornado cannot be ruled out, though no need to panic because these are quite common and not usually powerful or damaging in the UK. 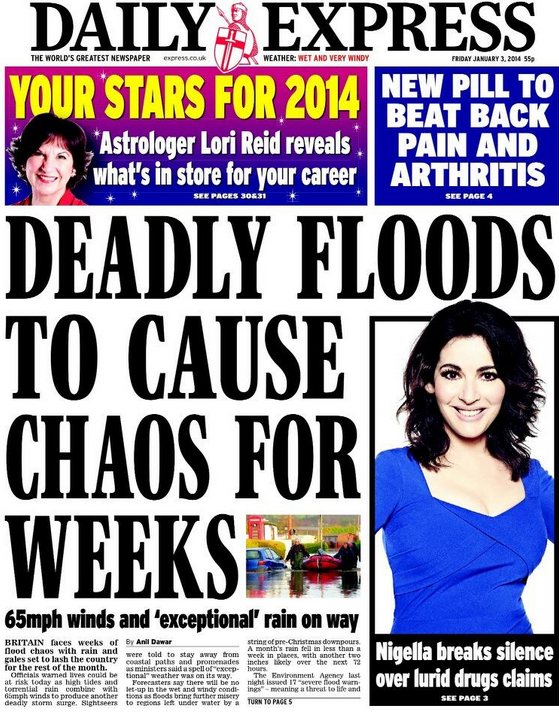 So it is still the case that the overall impact of this storm is still not likely to be extra-ordinary or wreak widespread havoc Daily Express style. It is more likely to be underwhelming for most. 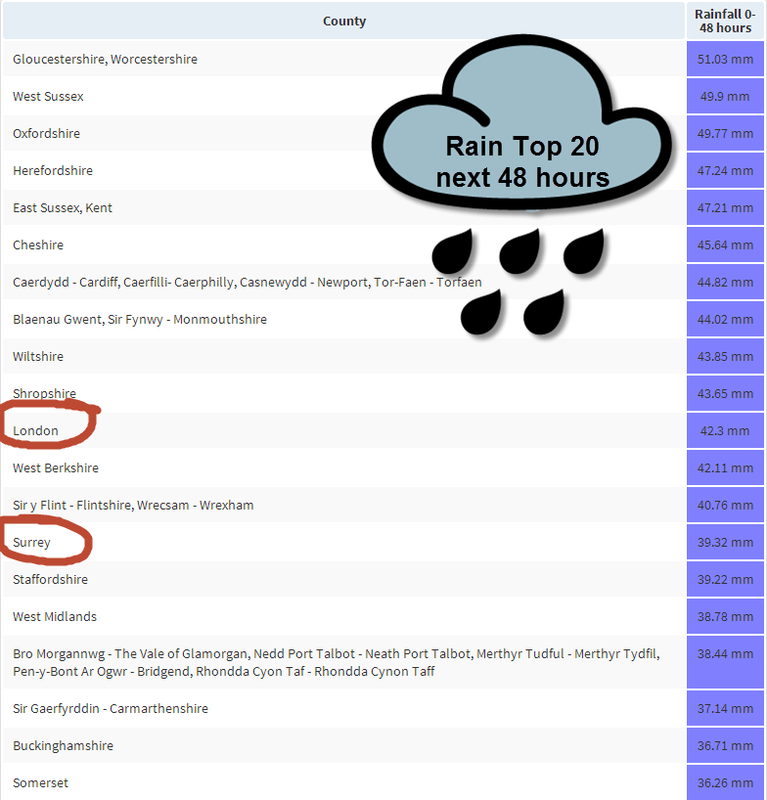 Nevertheless, rainfall totals in a short space of time for some places might be high and there could be some interesting weather phenomena associated with active fronts. 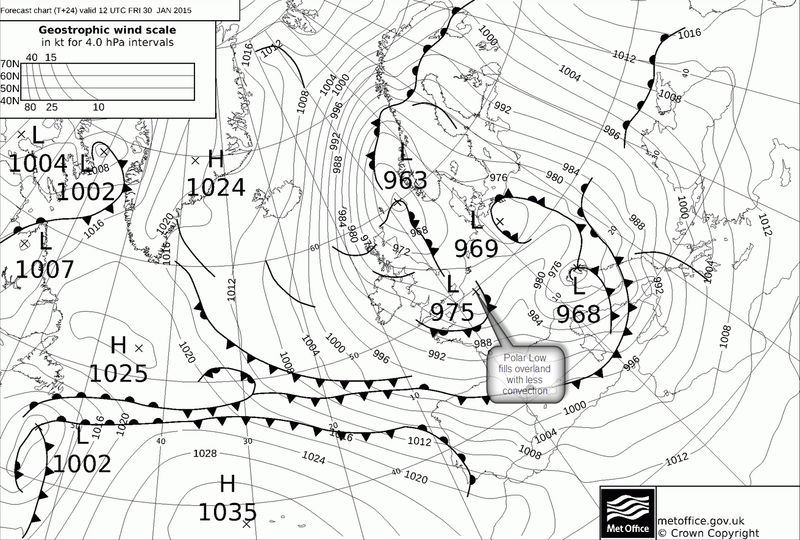 Estofex and TORRO have issued severe convective weather warnings for the S UK. Estofex Level 2 storm warning is most unusual for the UK and TORRO do not issue tornado watches lightly. 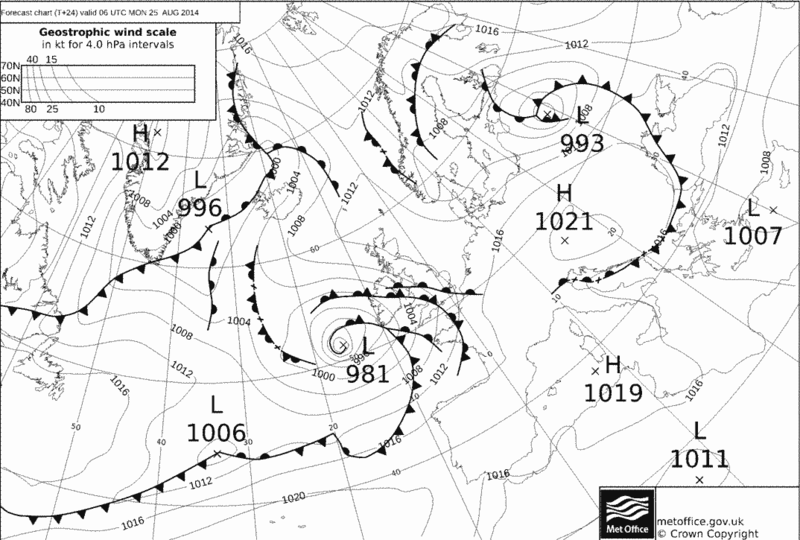 (back to yesterdays update:) The UKMO fax chart below for Sunday midday shows a “triple point” of three fronts meeting near the SE (warm front, cold front and occlusion) Between the warm front and cold front the warmest humid air is wrapping into the centre of the LOW in the warm sector: this contains much of the moisture to fuel the storm as condensation releases latent heat driving up parcels of air. On top of this a conveyor of cooler drier Polar air that flows over the cold front and warm sector and this increases lapse rates further encouraging lift throughout the system. The warm air eventually flows to the core of the storm as it occludes. 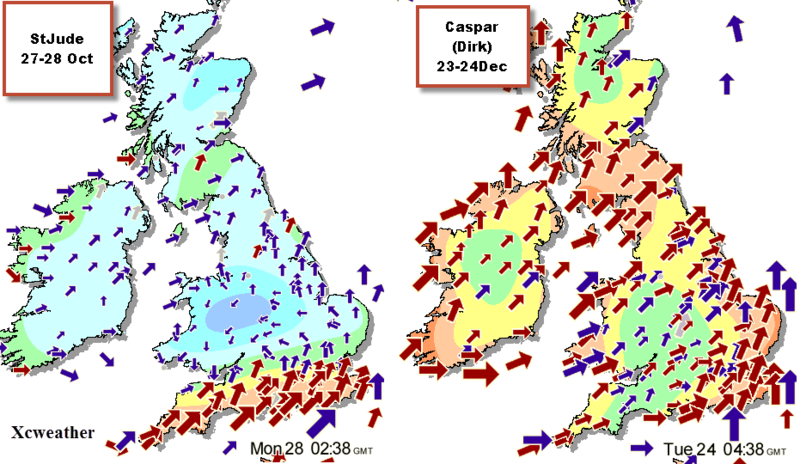 All the time the jetstream to the south is lifting air off the ground (by a process called divergence in the upper atmosphere) and lowering the central pressure causing air to converge into the centre of the LOW… this results in the surface wind rushing into the centre. Converging air at the surface has nowhere to go except up. Rising air, especially where tropical air meets polar air at the fronts, creates condensation, thick cloud and potentially plenty of rain. The potential water available in this storm is large. In addition, cloud top temps, with the influx of cold air aloft, are likely to be as low as -50C causing ice to form in turbulent air that can create charge up thunderstorms. Such storms are only a risk and may not happen at all. For Reigate and the SE it seems we can expect more rain during the morning than was previously the case in earlier models and forecasts. Latest models suggest widepsread rain in the SE of up to 20mm and discrete patches of high totals possibly exceeding 50mm in the SE. This is about a month of rain in one day, so local flooding could be a problem. Rain will arrive tonight, after midnight, and persist throughout the morning. Wind speeds, probably 30-40mph max gusts inland, possibly more gusty in any thunderstorms, will increase towards the middle of the day and potentially be highest as the cold front moves away which, on current models looks like early afternoon. Strongest gusts will be associated with any thunderstorms. The good news is that by pm the cloud should break rather rapidly, however, scattered showers could follow in the brisk westerly. This regime will continue for much of the early part of the week. 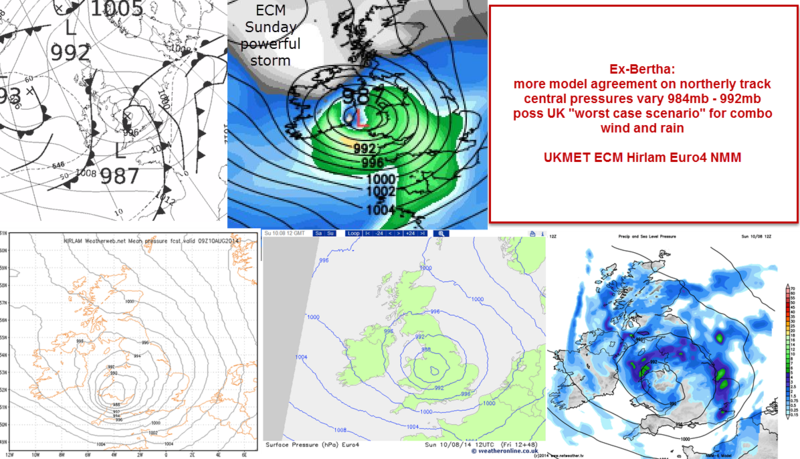 Even now much still remains uncertain about this storm and it is causing lots of interest and headaches for both professional and amateur meteorologists. 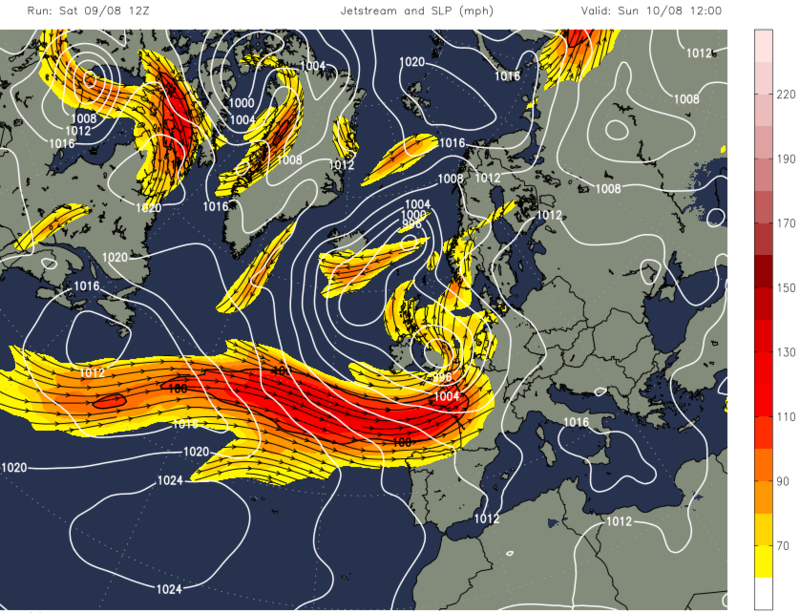 The nature of the fronts may produce some organised squall like features and some organised thunderstorms for places but predicting these is extremely difficult. Any such storms can have the potential to deposit a lot of rain in a short space of time. Late this afternoon Saturday Bertha split in two: one rain system moving north, the other pushing more ENE. This was unexpected. 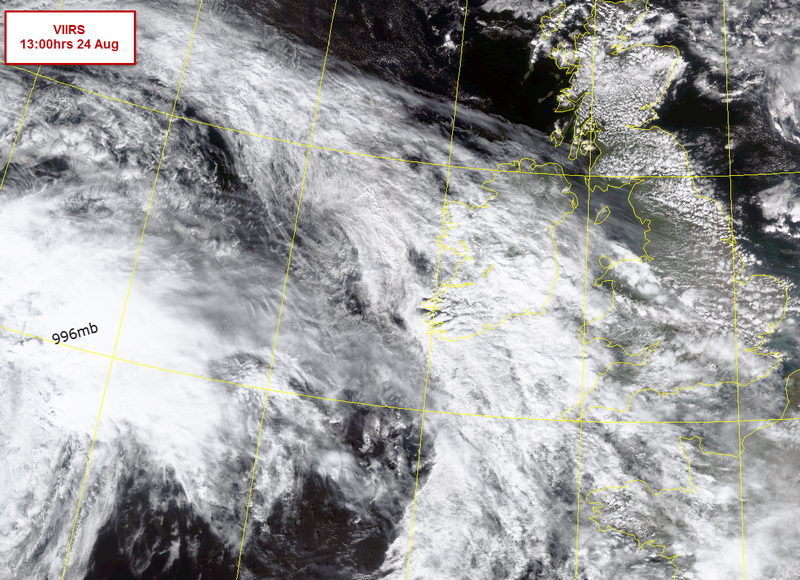 Currently the rain moving north across Ireland is the more significant but things can change. 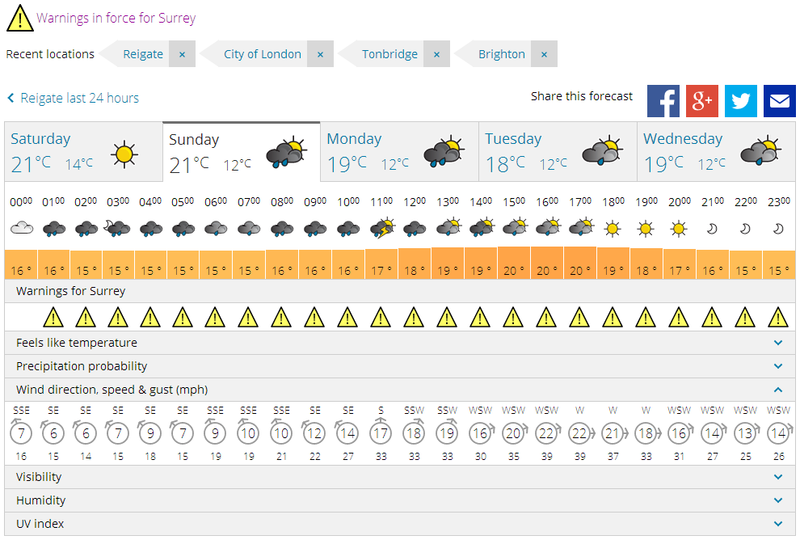 Let’s finish with the UKMO forecast for Reigate. 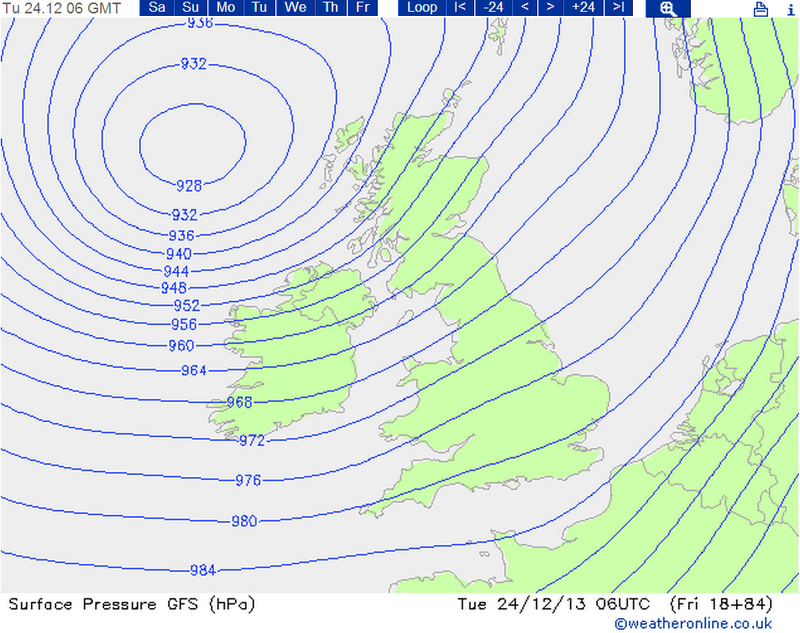 It shows lots of rain, potential for thunderstorms and some unsually strong winds for the time of year. As leaves remain on trees this might cause loose branches to fall and peak rainfall totals, if met, could cause some local flooding. 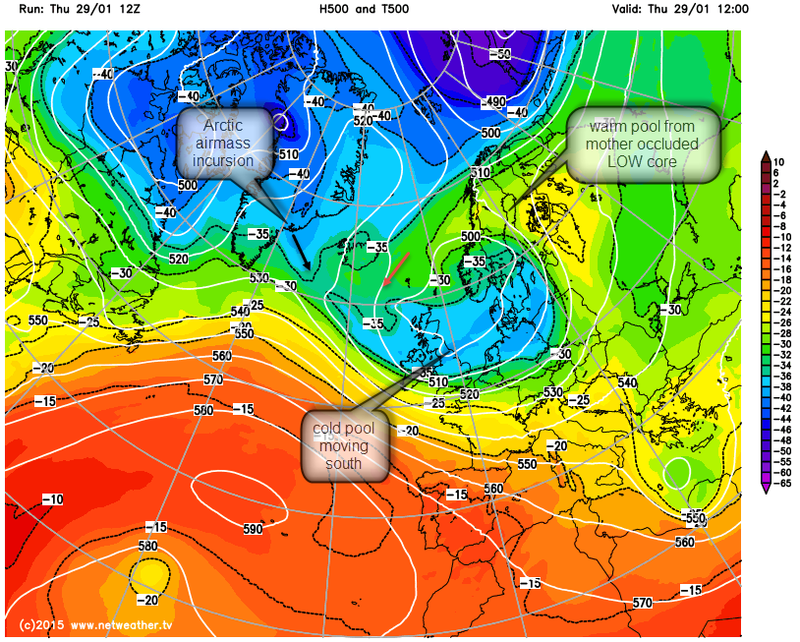 Certainly nothing to panic about but do look out for any interesting weather features and send them in to @RGSweather! Sadly for @ridelondon the prospects are not terriibly nice in the morning. Photo mosaic of the squall line that passed over Reigate on 10 Aug afternoon: quite a feature! Should the UK start naming storms? 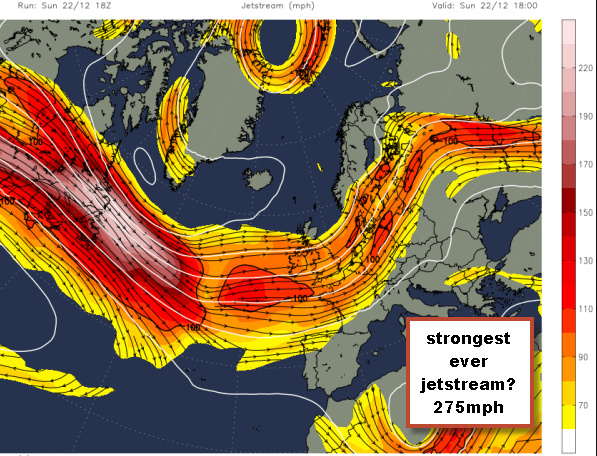 The number, frequency and rapid movement of recent UK storms has meant that, for many people and the media, one anonymous unnamed storm has merged into another. Identifying impacts and explaining the specific nature and different characteristics of each storm is often confusing. 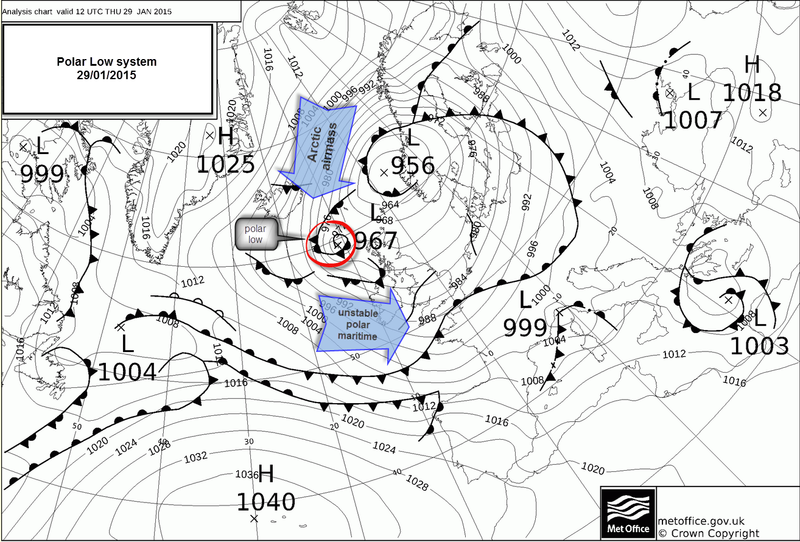 The current procedure of UK storm nomenclature is by date, such as “the 2013 Dec23-24 storm” or, for more infamous specific high impact events, randomly adopted names are used, such as StJude. Storm identification in the UK seems, therefore, to be rather an ad hoc, random, informal and possibly even disorganised process. For a country that experiences a lot of storms and, seemingly, an increasing number of intense meteorological events, it would seem like a timely idea to START NAMING UK STORMS! Naming storms that impact Germany and Central Europe has been a tradition at the Institute for Meteorology of the Free University (FU) Berlin since 1954. They run an interesting adopt-a-vortex scheme that allows users to (pay?) to adopt a LOW. 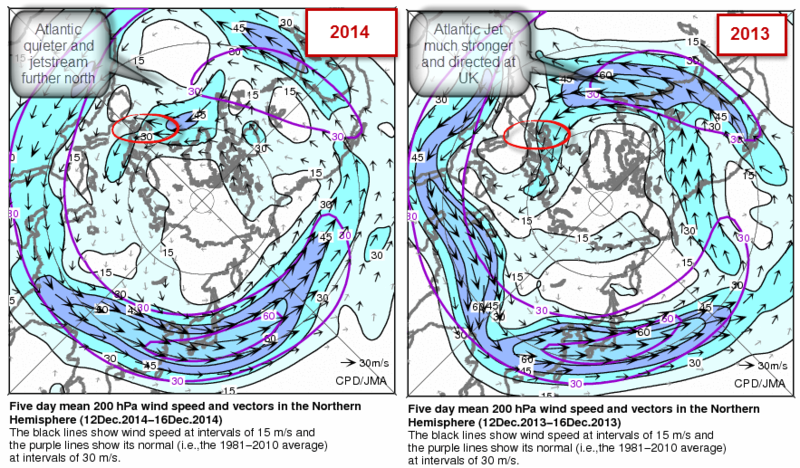 more here… http://www.met.fu-berlin.de/adopt-a-vortex/ Some forecasters in the UK use the Berlin vortex Euro-names already, especially on twitter. Other professional forecasters fear that using such storm names will not help public understanding of meteorological events (not least because some of the worst UK storms are wave depressions that are spawned by rapid cyclogenesis from more persistent parent lows; this is more complex than a hurricane which tends to stay as one system). Better known are the names given to hurricanes and typhoons in the Atlantic and Pacific since 1945. Names like Hurricane Katrina, Superstorm Sandy, and Typhoon Haiyan are iconic in the public imagination and formally arranged by the World Meteorological Organisation using a formal alphabetical list. http://www.wmo.int/pages/prog/www/tcp/Storm-naming.html. Whilst UK storms are not usually on the same scale as tropical hurricanes, they nervetheless have the potential for significant economic, environmental and social impacts. There are several benefits of naming storms, not least a heightened public awareness if storms have unique names. With storm damage and intensity set to increase for the UK and considering Atlantic storms arrive here first in Europe, it seems like a good idea to start our own system of storm naming. The UKMO or http://www.rmets.org/ could run such a scheme and funds raised could be charitable or go towards funding the scheme. A scheme similar to that of Adopt-A-Vortex where the public can pay to name a storm would help fund it. Have your say below and, as a community we might be able to ask the UKMO to consider this as a proposal, you never know! UK storms time for our own names?